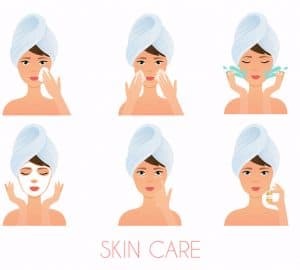 Hydrating the skin, especially the face, is the single most important thing you can do to combat the aging process (besides staying out of the sun – duh!). 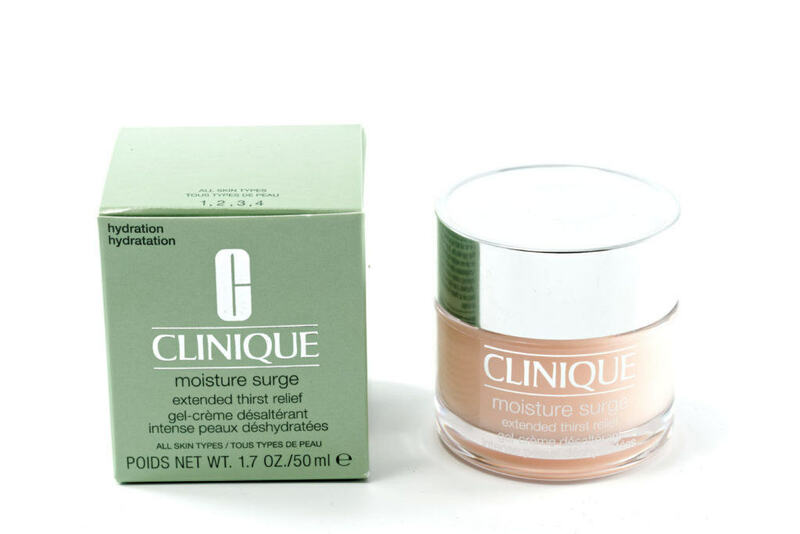 Because of the glowing reviews that Moisture Surge by Clinque received, I decided to try it based on its promises of being “nature’s perfect moisture magnet”. This product lived up to its name and then some! My skin tends to be on the dry side. That went away with Clinique’s Moisture Surge! It also left my skin feeling plump, dewy, and glowing for the following 24 hours after application. I have so many different moisturizers in my repertoire, but this one is one is my favorites. At $39, it’s a bit on the higher side than I like to spend, but I found it to be well worth the price once I started using it. I give Moisture Surge by Clinique two thumbs up! As part of my purchase of the Moisture Surge by Clinique, I was given this starter kit as a “thank you” for my purchase. All of the products contained in the kit are really quite nice. 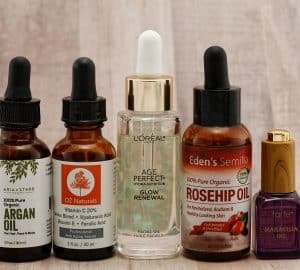 I’ve been able to use all the products in the starter kit and I love the custom repair serum the best. I can wear it under my makeup and it, along with my primers, helps my makeup to go on smoothly. I love the 7 day scrub cream as well because exfoliation is so vital to cellular turnover which promotes youthful skin. I’ve only used the sculptwear contouring massage cream mask once, but it felt wonderful – very relaxing to the skin. I would purchase all three of these products in their full size! Love clinique products, they really just work well for my skin. I am always looking for really good moisturizers for my skin. I may try this one next! Clinique makes a great product! I haven’t tried this one yet, but I want too! I need the moisture. Moisture Surge was one of my very first “real” skincare products, it is such a classic that no one can go wrong with. This is just what I need. I’m always looking for a good moisture-rich product. I’ll have to look into this, I’ve never tried Clinique. I’ve used this before and love it! Great review! I haven’t used Clinique in SO long! I used to the use their oily/combination line, as well as the dark spot corrector, which was AH-MAZING at lightening those stubborn acne spots. This kit seems to be a great option for those with dry skin; I’m glad you liked the results! Thanks so much for sharing, girlie, and I hope you have a great start to your week! I’ve been using this line for a while now, and I have to say at first I didn’t like it that much but with time I loved it! 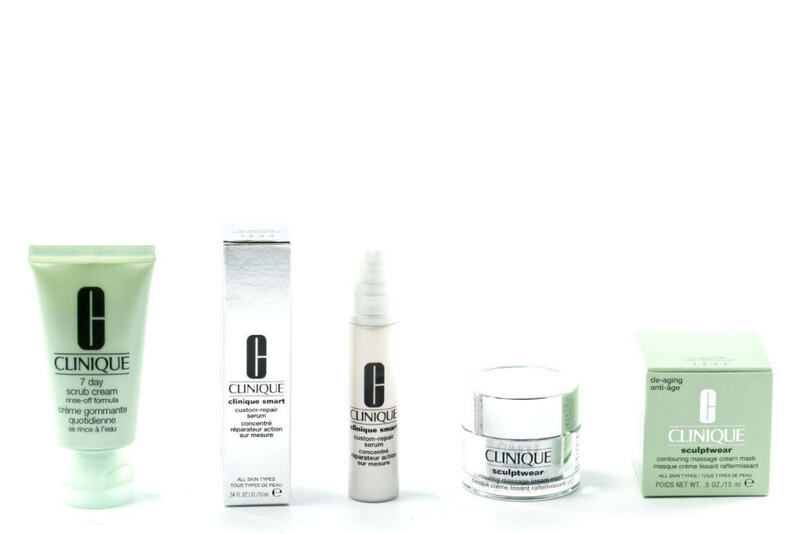 I’ve tried many different beauty creams over the years, but I’ve always loved Clinique’s products the most. The repair serum has worked wonders on my skin.